Security at the Boulder County Justice Center in Colorado is designed to catch weapons and contraband. On Friday, it detected something a little scalier. Boulder deputies caught someone trying to smuggle in an iguana. 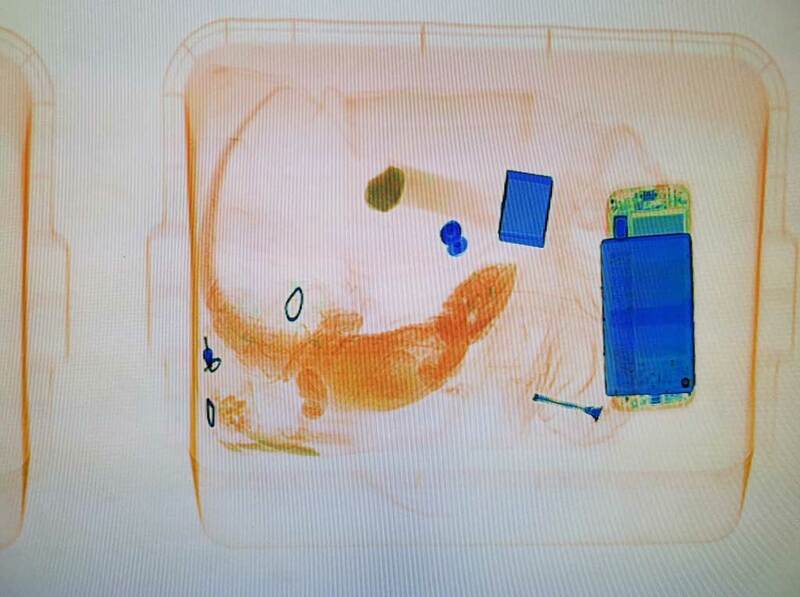 The reptile showed up on their x-ray machine. Boulder County sheriff's spokeswoman Carrie Haverfield said the person was turned away. "Apparently he was there with some friends, so he waited outside with his iguana," Haverfield said. Haverfield said that, at one time or another, people have tried to smuggle dogs, cats and mice into the Justice Center. "Unfortunately, it is not the first time someone tried to put an animal through the X-ray," Haverfield said. "Sometimes people do put through strange things in there."